There was a belief in ancient time that you can bring in the freshness to the soul of a person with Mantras. These are one of the blessings that is of reciting the mantra in order to obtain a piece of mind. In ancient time, it was believed that our subconscious has a hidden power that can shift the pattern of thinking or negative thoughts. As a matter of fact, it is actually true as given in the book ‘The Secrets’. 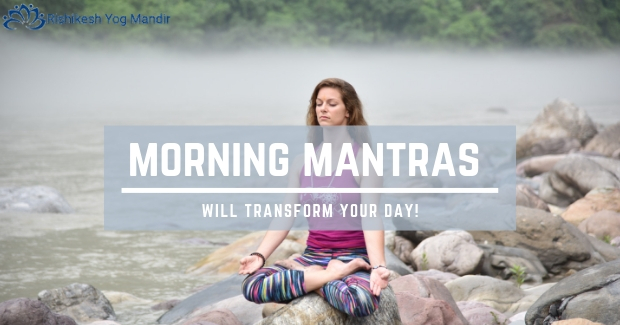 Moving further with the similar concepts, morning mantras have the ability to work out on the positive ones. Om Namah Shivaya – This mantra is for Lord Shiva for the bowing in front of the lord. It is for the supreme deity of transformation to highest and truest self. The adoption of this mantra is done on an upper level to grace the Lord. The meaning is ‘I honour divinity within myself’. Om Gum Ganapatayei Namah – This is for Lord Ganesha. In this, the person is bowing down to Lord Ganesha or the elephant-faced It is believed that Lord Ganesha have the power to remove any of the obstacles from the path and provide us protection and blessing. This mantra is good for success and wisdom that have the power to overcome anything in the path. OM – The two alphabets holds a lot of power in it. This is even recited during the yoga in the morning due to its ability to work on the lungs and health of an individual. It is considered as the universe in a single sound. The original and first vibration that shows the whole universe with its birth, death and is followed up by the re-birth. It helps in working in resonance with the whole world and universe. This whole world works on the frequency and pitch that have modern music to it. It helps in protecting us against the evil of the world that is stopping an individual to work on the nourishment. However, this mantra ensures that one is stable and have a healthy life with the purposeful and brilliant learning. Also, it works in the human form to have a work in focus. The unity and non-competitiveness is something promoted in this mantra that allows one to have peace of mind.